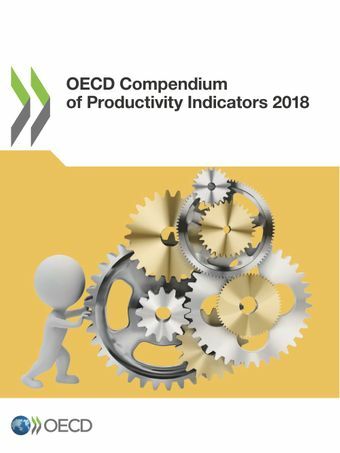 This report presents a comprehensive overview of recent and longer-term trends in productivity levels and growth in OECD countries, accession countries, key partners and some G20 countries. It includes measures of labour productivity, capital productivity and multifactor productivity, as well as indicators of international competitiveness. Economic growth is picking up, but productivity growth remains weak: what is driving the upswing? Global economic growth remains solid and broad-based, even though the pace has eased in recent periods. But while the upturn is set to persist into 2018, it has been modest, partly reflecting continued relatively weak labour productivity growth in most countries. Among OECD economies, in the United Kingdom and the United States, and more recently in Mexico, Spain and Italy, the recovery in GDP growth has been largely sustained by increasing employment. However, in many countries, job creation in the post-crisis period has occurred mostly in activities with relatively low labour productivity, dragging down overall labour productivity, although this partly reflects a rebound in employment in activities hit hardest by the crisis. In nearly all major OECD economies, the top three sectors generating the largest net employment gains over the period 2010-2016 had below average labour productivity, with restaurants, health and residential care activities featuring highly in most economies. Labour compensation levels correlate highly with labour productivity levels, and, so, more jobs in lower labour productivity activities has also meant more jobs with below average wages in most economies, working to weigh down on average salaries in the economy as a whole. The OECD Productivity Statistics database contains more and longer time series than presented in the publication. Data are available from 1970 onwards for some countries. The database is updated on a daily basis.